Mobile contactless transactions topped £370 million in the first six months of 2017, a 336% year on year rise in spending, according to the latest transaction data from payments processor Worldpay. The use of mobile devices to make in-store payments has been growing steadily since the UK launch of Apple Pay in 2015, but it is only really in the past 12 months that the technology has begun to gain widespread acceptance beyond ‘early adopters,’ further fuelled by the launch of Android Pay in 2016 and Samsung Pay earlier this year. Monthly spending on mobile devices has risen by 57% in the past six months (£46 million spent using mobiles in January 2017, compared to £74 million in June 2017), while mobile’s share overall in-store transactions has risen from 1.18% at the end of 2016 to 2.04% in June 2017. Spending on all forms of contactless systems now accounts for 38% of all non-cash transactions in the UK. 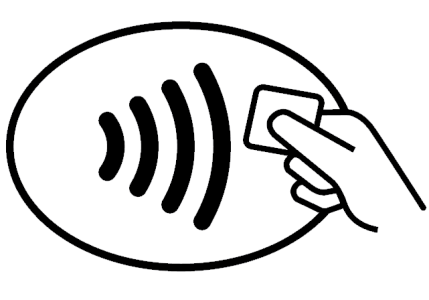 Total contactless spend in 2017 reached £9bn up to June, compared to £10bn throughout the whole of 2016. Supermarkets and grocery stores continue to dominate the mobile tap and pay market, accounting for 55% of total spend so far in 2017. Londoners still spend the most on their mobiles, but the proportion of transactions concentrated around the Capital has reduced from 32% at the end of 2016, to 28% in 2017, as adoption becomes more widespread across the UK.